A great place to sit when you're working on your music. Proper posture is a key element to a productive practice session. Chair arms can force you to contort uncomfortably to keep your instrument in its natural playing position while restricting your ability to move along the neck freely and forcing you into a back-killing hunched playing position. This barstool offers a stable support for your back, while working your core muscles and ensuring you have unhindered access to the entire instrument. It's also cool for your studio, stage or home decor. 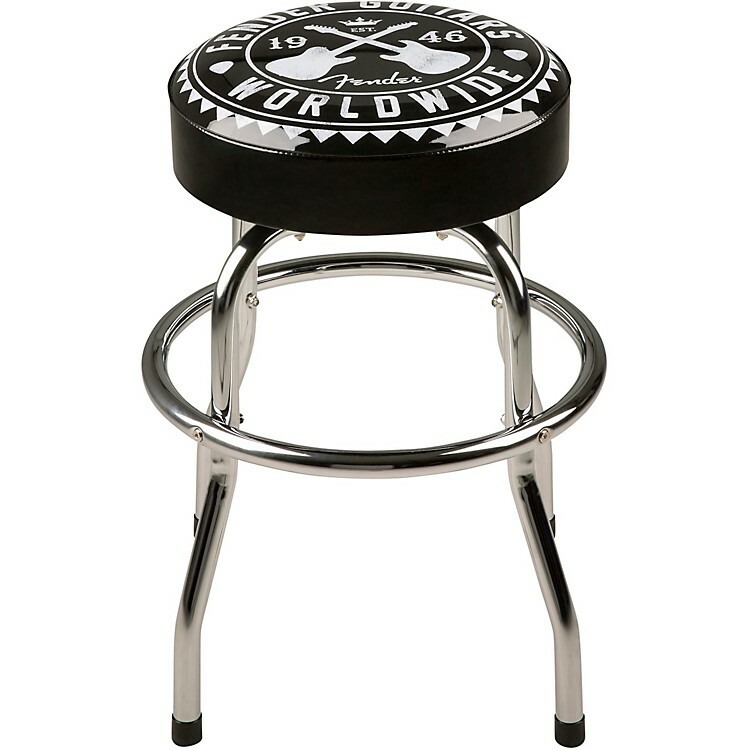 Order this official Fender barstool today.